Seven players from Kilkenny's All-Ireland Championship-winning team have been awarded All-Stars. Beaten finalists Galway are allocated four positions on the coveted 15-man selection, while the remainder go to Waterford (three) and Tipperary (one). Kilkenny's Joey Holden and Ger Aylward collect their first ever awards while Paul Murphy lands his fourth. In total, there are seven first time recipients and five survivors from the 2014 All-Star team. Tipperary forward Séamus Callanan is the only non-Kilkenny player to receive awards in each of the last two seasons. The football awards will be announced at the All-Star awards ceremony on Friday night. 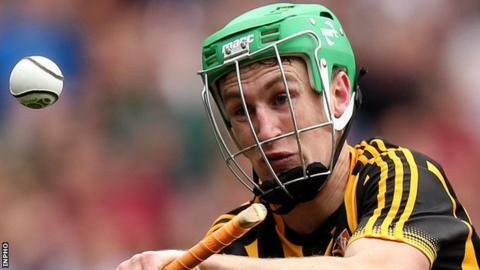 2015 GAA GPA Hurling All-Stars: 1 Colm Callanan (Galway); 2 Paul Murphy (Kilkenny), 3 Joey Holden, (Kilkenny), 4 Noel Connors (Waterford); 5 Daithí Burke (Galway), 6 Tadhg de Búrca (Waterford), 7 Cillian Buckley (Kilkenny); 8 Michael Fennelly (Kilkenny), 9 David Burke (Galway); 10 Cathal Mannion (Galway), 11 Richie Hogan (Kilkenny), 12 TJ Reid (Kilkenny); 13 Ger Aylward (Kilkenny), 14 Séamus Callanan (Tipperary), 15 Maurice Shanahan (Waterford).